The Puppy register is now maintained by Sharon Main. If you are looking for a puppy or wish to place a puppy or litter on the list then please contact Sharon send her a E-mail: webmaster@scottish-sheltie.org.uk. You can now put your puppies on the on line register. 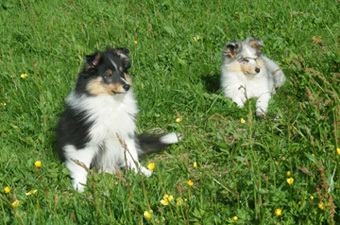 You have to be a fully paid up member of The Scottish Shetland Sheepdog Club to use this facility. To join the club please see the committee & membership page. 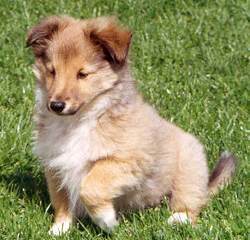 The Scottish Shetland Sheepdog accepts no responsibility whatsoever for the accuracy of information supplied by the advertiser/seller of puppies being advertised on this website. Dog owners/breeders/purchasers advertise and/or buy & sell dogs or arrange meetings/make contacts with advertisers/breeders found on this site at their own risk. It is the buyer's full responsibility to verify the authenticity/reputability/history of the advertiser/seller/breeder and the status of their dogs/puppies. The Scottish Shetland Shetland Club is in no way responsible for the quality/health/history/nature of any dogs advertised and accepts no liability whatsoever for any occurrence arising as a result of advertising/buying/selling dogs advertised on this website. Sorry! No puppies on the register at the moment. The Scottish Shetland Sheepdog Club rescue service is for all Shelties in Scotland who find themselves on hard times through no fault of their own. It may be because of illness, bereavement, marriage break-up or other circumstances. The rescue service is here to help. 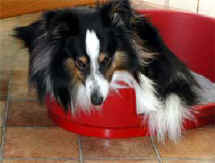 If you would like to re-home a Sheltie, it can be a very rewarding experience. These doggies can be very traumatised but, with love and affection, can go on to lead happy active lives with sympathetic new owners. This may take time, understanding and patience. It should be noted that Scottish Shetland Sheepdog Rescue is no longer in association with The Scottish Shetland Sheepdog Club, as stated on their web page.